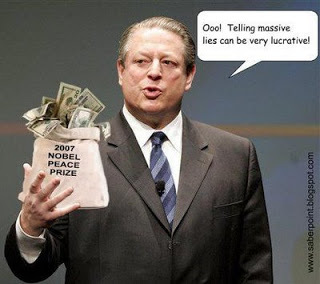 STOP AL GORE'S ELECTRICITY TAX! The Senate is now considering the Waxman-Markey cap-and-trade bill passed by the House in June on 219-212 vote. This bill, which is supported by Al Gore and his band of global warming alarmists would raise our electricity prices through the roof. It would also send millions of U.S. manufacturing jobs to foreign countries. Working families would be hurt the most by higher and higher utility bills and gasoline prices. But many big corporations hope to strike it rich. Al Gore’s investment funds, General Electric, Dow Chemical, Duke Energy, GM, Ford, Caterpillar, Shell, BP, and Goldman Sachs all support cap-and-trade. Tell your Senators to vote for the American people and against the special interests by voting NO. Please let your Senators know how this electricity tax would affect you and your family. They are most interested in your concerns and personal thoughts about this issue. It’s better to put your personal message at the beginning of your letter. And thanks for writing them! CLICK HERE TO SEND YOUR LETTER!